FASHION MONDAY#19 – Elegant dresses and a lot of jewelry. I’ve been watching a new drama “Beauty Inside” for 2 weeks. 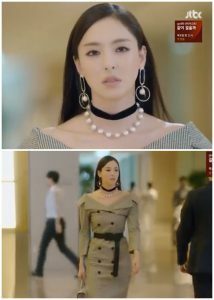 After a few episodes I see that this drama is a good fashion inspiration. 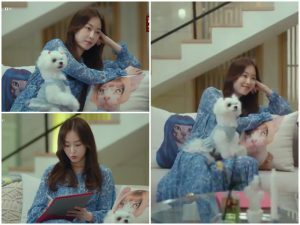 I like the style of the main character Han Se-Kye, especially her delicate dresses that caught my attention this week. 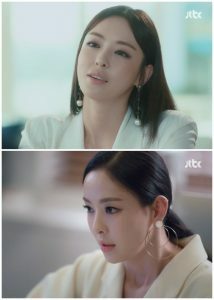 Her total opposite is Kang Sa-Ra. Her style is very expressive and draws attention very much. Unfortunately, most of its styling makes me feel overwhelmed, especially in the case of jewelry. I love jewelry, but everything is too much. Kang Sa-Ra obviously doesn’t like the “less is more” principle.